Dominate OC Competition With Our Proven SEO Ranking Tactics! If you want to grow the scale of your business, then you need to engage in approaches that are truly effective. Nowadays, for many businesses related activities websites are a successful medium not just for intensifying your business’ popularity. Before you jump into search engine optimization services, you need to understand several factors first; and these are interests of your visitors, the scope and size of your business among others. When increasing website traffic, this Orange County SEO service is your best bet since they have the proven skills and vast expertise in this arena. From the rest of your niche competitors, our experience can get your business to stand out. User-Friendly and Better Website – With our services, you get the benefits of a friendlier, faster, and better website for your potential customers. Doing optimization is not solely for your website, but also for the ease of use for your customers because when your site visitors are happy, it also goes that search engines are also happy. By doing optimization, the SEO expert arranges your website’s links and architecture for a more responsive and easy to navigate feature for your visitors. Climb SEO only employs industry approved, and proven techniques for long and short term benefits for your website as well as your site visitors. Increased Traffic – This is not just any traffic, these are targeted traffic to your website. More targeted traffic is equivalent to higher sales for your business. A search engine optimization expert knows how to cherry pick keywords that have substantial traffic and are relevant to your business to target your specific customers and guide them to your site. Their proven internet marketing tactics will increase your chances and occurrences of converting visitors into paying customers. Dominate the Competition – The easiest and fastest way to dissolve your competition is getting the services of a professional to optimize your site. Just visualize this scene: you have a competitor selling the same products and everything being equal except that your site is optimized and your competitor’s isn’t. It is proven that your site will do better in terms of traffic and sales because it is search engine optimized therefore visible on major search engines. Of course, having more customers your business is sure going to grow and expand—all with the help of a professional Orange County SEO like us. Enhanced Brand Credibility – Significant impressions are formed with a top ranking position in search engines. So, it goes without saying that having top rankings on major search engines increases your visibility. With increased exposure, a lot of people get to see and hear about your business. Likewise, people use major search engines because they trust them to provide them with credible, reliable, and relevant results—thereby increasing your business’ credibility too. Getting the services of Climb SEO can lead to organic high ranking results on these major search engines. Therefore, the better your rankings on Google, then more viewers can see your content and easily connect it with your business or brand. Higher ROI – You might think that getting the services of an Orange County SEO expert will deplete your return on investment, but this is not necessarily so. Since getting your site optimized yields better search engine rankings that lead to more targeted viewers and bigger chances of converting your visitors into long-term customers—which makes our services a good investment that yields a higher return on investment. Every aspect and detail of the optimization strategy implemented are trackable; this means that conversions, site rankings, and traffic increase can be quantified. Further, the thorough analytics that comes with their SEO services can help you pinpoint engagement metrics, demographics and other pertinent details about your viewers. Prospects – With SEO, it’s not just a random site optimization. 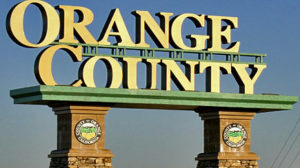 A real Orange County SEO expert can and will optimize your website to target audience relevant to your business. By tactically selecting your audience, the ones who are truly interested or even slightly interested in your products or services, leads to higher conversions which similarly lead to increased profits and overall sales. Higher Rate of Conversion – Through our Orange County SEO company, your website is optimized for ease of viewing on a wide array of platforms from tablets to mobiles and with faster loading rate. The ease of use and fast responsiveness of your site adds up to viewer satisfaction that ultimately makes them your loyal customers. Permanent Results – Of course, nothing is permanent in this world, however unlike what other SEO services provide the results that you gain from us will benefit you for a long time. Your search engine ranking will not drop down the minute you stop paying for SEO services, but it will slowly go down without maintenance—but not right away. In fact, it is even hard for your competition to beat your spot once our service has taken you there. Long-Term Results – As mentioned earlier, your top ranking results can last for quite a while even after you have disengaged from SEO services. Unlike PPC, where your visibility instantly goes to zero the minute you stop their services—this is not so with SEO. Getting the services of the leading Orange County SEO service like Climb SEO is the cheapest online marketing strategy especially when taking into consideration the long-term benefits. When it comes to hiring a service provider, we suggest that you take these things into consideration. One, determine the provider’s optimization capability by checking their track record. In order to do this, you would need to do a bit of research. Secondly, you need to check if the company can provide you with a customized strategy and solution specific for your site. Three, try to research at least three competing companies and then compare their pricing and solutions which will give you a comparable note on who can provide you with a better deal. When you are done, it’s time to choose the winner. We highly recommend that you to do this process because as the top Orange County SEO service provider, are at ease of our capabilities. When you want to promote your business in the global or local arena, hiring the premier OC SEO service like Climb SEO is the best choice. Top ranking your site is like being open to your customers 24/7, 7 days a week, and 365 days of each year! Climb SEO services Irvine and Garden Grove exclusively as a top SEO and online marketing provider.